Filing chapter 7 bankruptcy can be expensive. Most people who turn to chapter 7 bankruptcy for debt relief have little money to spend on attorneys and courses. Nevertheless, most people need to hire a bankruptcy attorney to receive a discharge. 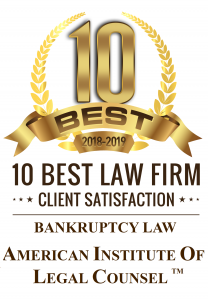 This is because filing bankruptcy involves the application of Title 11 of the United States Code (the Bankruptcy Code) and few pro se debtors understand Title 11 and the pertinent case law well enough to avoid the liquidation of assets or denial of discharge. Accordingly, people who turn to chapter 7 bankruptcy must be prepared to spend a sum of money on the following expenses. Hiring a good bankruptcy attorney will be the largest expense of chapter 7 bankruptcy. The attorney will charge a flat fee that covers most services necessary to receive a discharge; however, the fee agreement will most likely exclude some services like representation in adversarial proceedings. Many prospective bankruptcy clients ask how much does a bankruptcy lawyer cost? While Sacramento Law Group charges flat fees for chapter 7 and chapter 13 bankruptcy the only way to find out exactly how much a bankruptcy lawyer will charge is to call an attorney for a free consultation. At the conclusion of the consultation you will receive a quote for representation. The Bankruptcy Court will charge a $335 chapter 7 filing fee. If you can afford a bankruptcy attorney you probably won’t qualify for a fee waiver so be prepared for this several hundred dollar expense. The bankruptcy attorney may include the filing fee in their flat fee, but the flat fee will just be that much higher. Before you can file chapter 7 bankruptcy you must take an approved credit counseling course. The course will cost approximately $5-$10 for an internet course and as much as $40 for a telephone course. After your case is filed you must take as second course to receive a discharge. It’s always a good idea to buy a three source credit report. The credit report will disclose the last four digits of your account numbers which will be useful in completing your bankruptcy schedules. Furthermore, the report will let you know who owns your debt and may disclose the original account holders. If you have tax debt you should obtain tax transcripts. The tax transcripts will help your attorney determine whether the debt is dischargeable in chapter 7 bankruptcy.